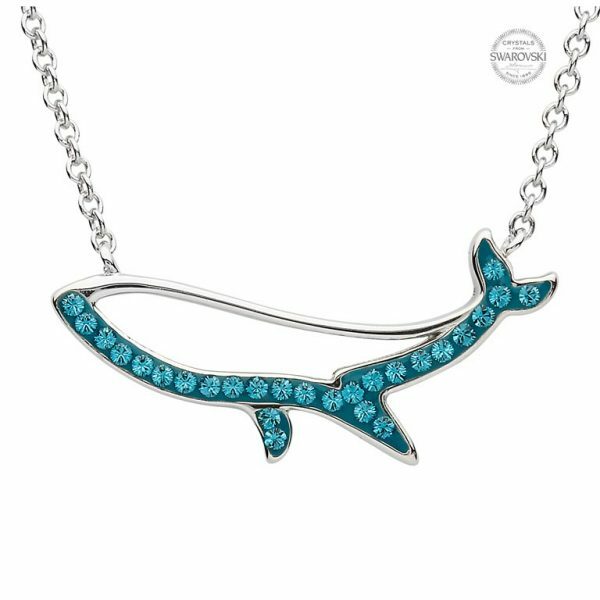 Crafted in sterling silver and embellished with shine-filled turquoise blue Swarovski® crystals, its double hook pendant features a fluke tail whale outline. The upper side of the pendant is thin, silver and minimalist. The lower side with fins and flukes is thicker with a single row of turquoise crystals set in a deeper blue backdrop. A thin silver chain completes the necklace. The whale is an eternal symbol of wisdom and divine grace. The fluked tail brings a message of hope, happiness and power. Blue crystals evoke a feel of oceans and add an aura of serenity. This sublime significance adds more allure to its already irresistible looks. Wear it to work or to day brunches, it will add the perfect finishing touch to your ensemble. 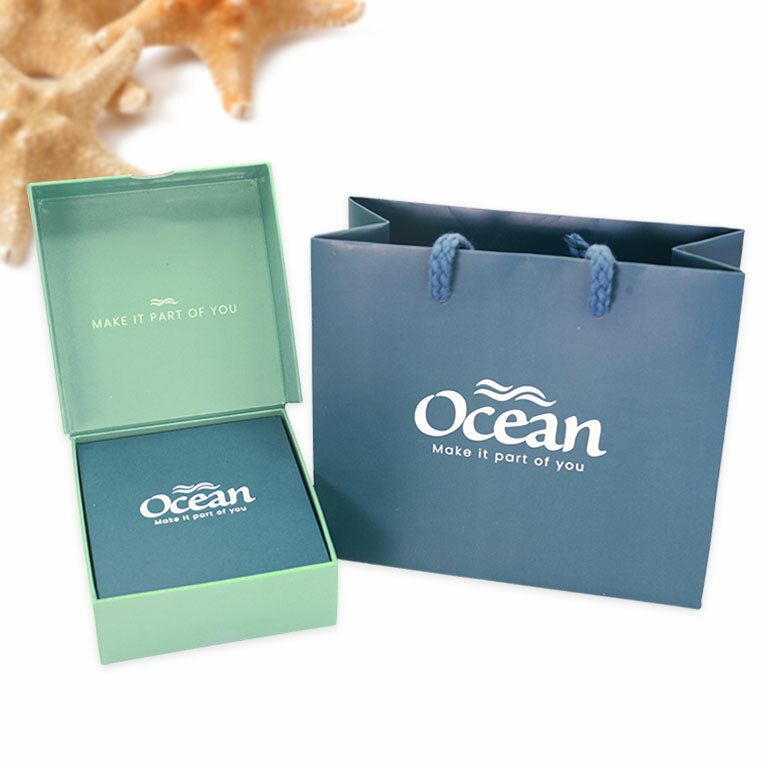 The Deep Blue Whale Fluke Pendant Necklace is a stylish statement accessory that’s a must-have for your wardrobe. Its double hook pendant features an outlined whale that’s thin, silver and plain at the top side. In contrast, the lower edge is thicker and embellished with turquoise crystals on a deeper blue backdrop. A simple silver chain attached to the double hook of the pendant completes the necklace.